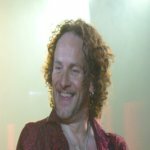 Def Leppard guitarist Vivian Campbell was recently interviewed by Tickets There and said the band plan to release a new album in Spring 2015 and launch a worldwide tour. Up to nine songs were recorded with more recording sessions to follow before a release in early 2015 and a world tour. Vivian mentioned they'd hope to include Europe (UK), Australia and Japan. He once again repeated that the 2014 US summer tour announcement is also days away (***day?...). Vivian talked to Irish Lep fan Rob about the Slang Deluxe Edition, the original album, social media, Last In Line, his health, the recent recording sessions in Dublin and the possibility of a world tour and new album in 2015. "When we came here we weren't sure if we were going to make a full album or try and get a few songs to put out this year, but as things progressed, and they progressed rapidly and very well so we decided to do a full length album. Our goal is to have it done by this time next year and get it released by spring 2015 and to tour extensively on that next year. This year we will be doing a summer tour but it'll only be the states most likely. We'll also be coming back to Dublin in May, I wouldn't say to finish up the record but to do a second instalment. There will need to be a third, possibly fourth instalment to get it finished, but it is progressing very well." "Most likely if we get this record finished for next spring that would see us doing a world tour of sorts, whatever that means nowadays. Certainty Europe, Australia and Japan would be our hope."